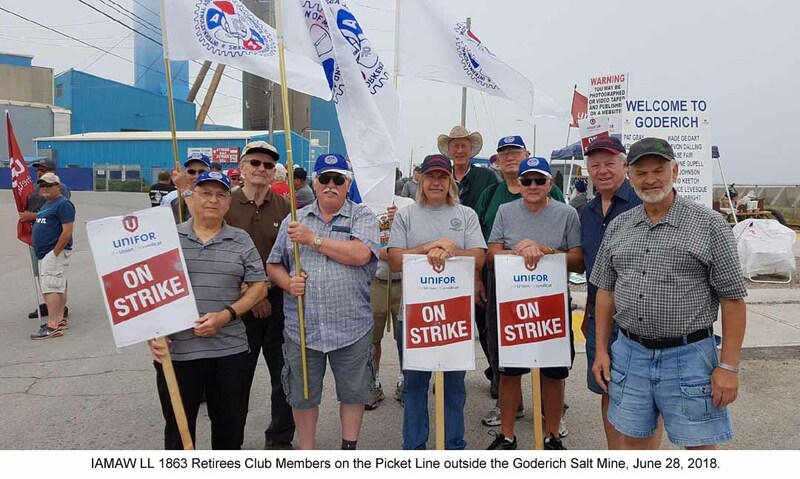 The IAMAW LL 1863 Retirees Club was asked to stand on the picket in for UNIFOR Local 16-0, which is on strike against Compass Minerals at the Goderich Salt Mine. 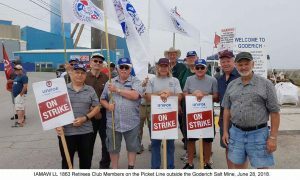 These union brothers and sisters have been out since April 27, 2018. 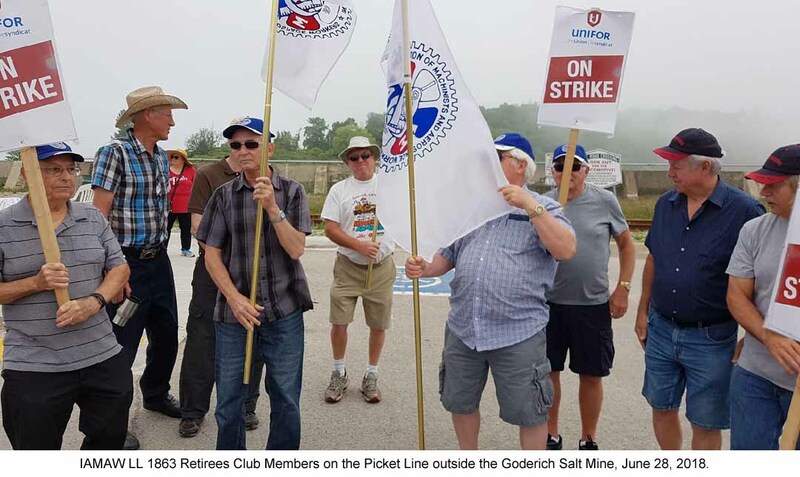 On the afternoonof June 28, 2018, UNIFOR Local 16-0 held a rally and appreciation event. So the LL 1863 Retirees Club stood the picket line while the union brothers and sisters were at the rally.